Whew. I’ve never been to the UK until recently, and it sure is a lovely place. I was asked to support some Revit MEP events for the Reseller channel in Europe, so I figured it would be the time to travel to the land of Crumpets, Bangers, and Curries. 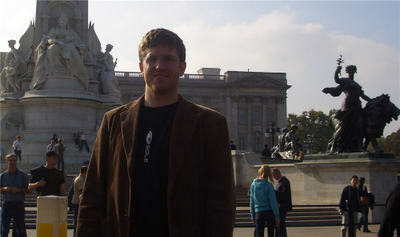 I was able to get some touring in London early in my trip, which was brilliant (UK influence), and I also caught a Rugby World Cup game in a local pub, good times. After that, my week turned into a blur of presentations and concept explanations. It’s always an incredibly interesting conversation when I present the strategy of Revit MEP; what we’re trying to do, why we’re trying to do it, and how we think it fits into a larger change in the overall building industry. Not everybody always agrees, which really makes it a lively discussion. Nonetheless, I really look forward to forcing people to really think about why they feel strong about things, and how a change in process can change the industry. I almost always end to going to a white board and drawing a graph to illustrate a point. When I first saw a saw tooth diagram, it struck me as a great way to illustrate the inefficiency of the way projects are completed today, and how a BIM process can make things better. It’s a simplified way to view a project’s life, but equally powerful. In most projects today, each time a set of 2D documents are produced, the team downstream loses valuable information about that project, and the designed intent of the project. The downstream team then spends a whole lot of time putting the pieces back together, so they can understand then get on to doing their part of the project. If the information was passed more effectively between teams, we’d have an overall more efficient process. 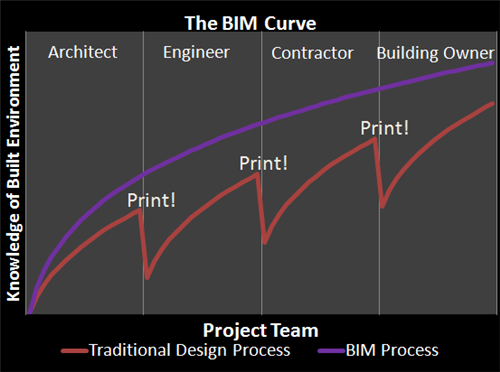 That’s why we are so heavily developing software to support the BIM process, it allows for so much more information to be passed between project teams. It just makes more sense. Here’s to flattening the curve. Did you like to travel?